If you are looking for a roofing company in Maryland with the best quality products along with great service, call Mallard Exteriors! Our company has years of experience and a vast knowledge of all types of roofing materials. We are a well-known roofing company near you that is licensed and insured to perform work in both Maryland, Delaware, and Virginia. Our company offers homeowners and businesses high-quality workmanship and solid value. Contact us to obtain assistance from our qualified roofing contractors! Our company has many years of exterior renovation experience. 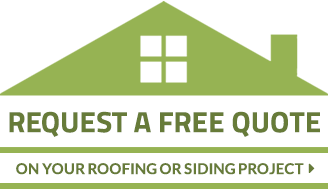 Whether it be roofing or siding, know that we put quality and the customer first. The work that we perform will help protect, beautify and last. The installation of new roofing will protect your home. Whether you select James Hardie for a Victorian home or beach house or on condo units, our options will beautify, protect, and in most instances cut energy costs for years to come. We offer a multitude of color products, styles, and designs of roofing materials to enhance your curb appeal. Our roofing contractors help customers protect and revitalize to improve the “curb appeal” of residential and commercial properties. Property owners frequently discover that adverse weather conditions in Maryland, Delaware, and Virginia cause exterior maintenance to become challenging. This can be very stressful and bothersome to homeowners. When you choose Mallard Exteriors as your commercial roofing company, you can expect quality workmanship, competitive pricing, and the highest quality of service. The products from Mallard Exteriors are 99% maintenance free with the exception of cedar shakes. Mallard Exteriors and their roofers are the ideal local roofing company to modernize the overall look of your home or business building. When looking to add lasting value to your property’s exterior, turn to Mallard Exteriors where quality and the customer come first. We use the best roofing products from name brands like GAF, TAMKO, CertainTeed, Inspire and James Hardie. Let us take the hassle out of your next major commercial roofing or home improvement expenditure. Our firm offers a high level of service to residents throughout the Delmarva Peninsula and the surrounding locations. With over 15 years of experience, our BBB-accredited Maryland roofing company was built by the best craftsman in our trade, not bought. Call upon Mallard Exteriors as your first choice for your local roofing needs. at 410-572-2727 to discuss how our company can assist you in changing the appearance of your home or business. You’ll enjoy working with our residential and commercial roofing company where quality is the standard! We are a full-service roofing company in Maryland, Delaware, and Virginia specializing in both residential and commercial jobs. Our reputation for skilled roofing contractors, exceptional value, and customer satisfaction is unmatched, and we take every measure to ensure that your job is completed safely and on time. Contact Your Local Roofing Company Today! If you’re in need of roofing services in the Maryland, Delaware, or Virginia area, Mallard Exteriors is here for you. Our roofing contractors use top of the line materials in order to give your the roof that looks best while standing the test of time. When it comes to other roofing companies, we are able to stand out with our wide variety of roofing choices, affordable prices, and our experienced roofers. Whether you’re looking for commercial roofing contractors or roofing contractors for your home, we can help add some curb appeal to your building! Contact our roofing contractors today and get started on your roofing needs today!